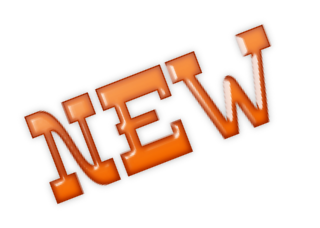 Here They Are At Last!!!! 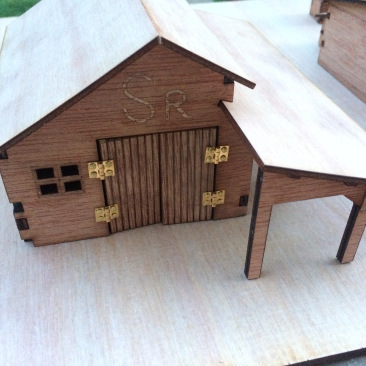 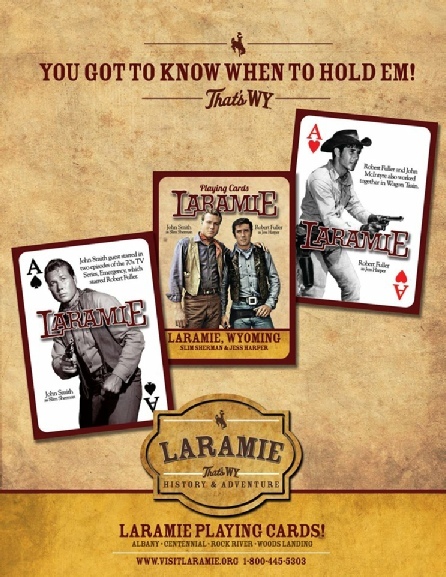 What you have been waiting for - your very own Laramie Playing Cards. 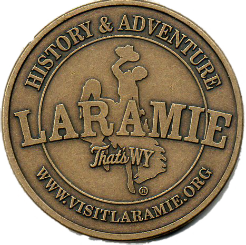 Chock full of trivia and photos of the cast and guest stars from Laramie. 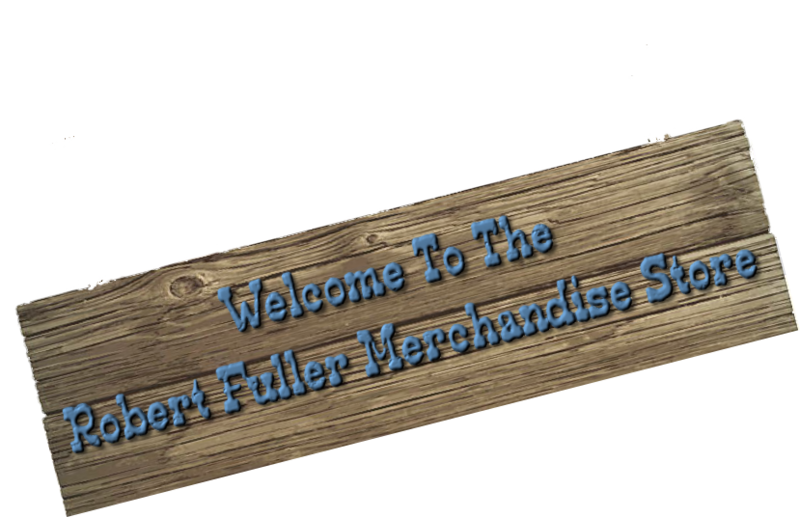 The whole suit of HEARTS is dedicated to pictures of Robert Fuller. 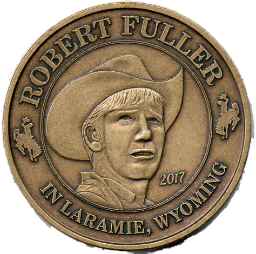 These fabulous Robert Fuller Souvenir Coins are made out of bronze metal 1.5 inches across and 12 gauge. 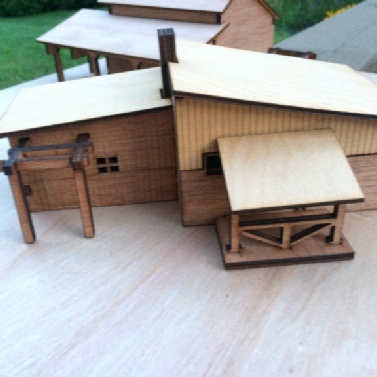 They are double sided with the face side featuring the iconic Jess Harper image. 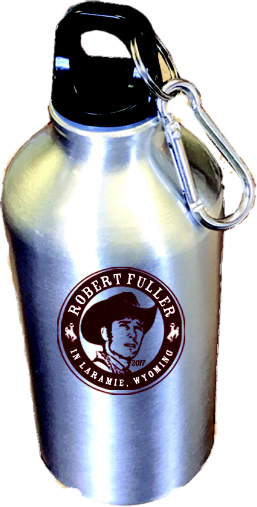 Robert Fuller/Laramie Water Bottle - ideal for carrying all kinds of cold drinks. 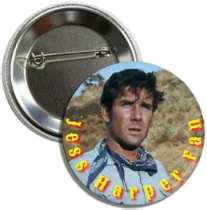 Has a very handy belt loop and of course the “Jess Harper” image.